Confident direction and a decent exploration of Jill Shearer’s affecting text about a family man who is retrenched isn’t enough to send it skimming across the waves to us, but The Boat drifts along nicely for a while, and reveals a new creative force in Director, Anne Grant. In the little Lind Lane Theatre foyer, Grant provides terrific detail about absurdist theatre, for those who are unfamiliar with the genre, and a copy of the heartfelt tribute to Shearer, which David Berthold wrote at the time of her passing in 2012. It’s lovely to know that the production will be re-staged in the Seaside Museum on Bribie Island, where Shearer originally imagined the play, in a twilight performance on June 9th. Sel (Ray Paine) sets up his reality confidently, without question, and the wife (Denise Hauville) and son (Sean McBride) support him in it just long enough to make sure we’ve invested too. A neat theatrical convention – an excellent choice – allows us time to process the unlikely image before us, which is a boat in the middle of a living room. Shearer’s is poignant, perfect writing, beautifully realised, and losing nothing until the introduction of the son’s girlfriend (Kathryn Barnes), which leads to a climax that seems undermined by some awkward moments. The naturalistic delivery style gets a little lost in the water at this stage, but on a special note; for his theatrical debut, Paine shines in this production. The Boat sets out from the shore strongly, and suffers a little as it suddenly loses the wind from its sails, but I did enjoy it, and I can imagine it will feel just perfect in the Seaside Museum. If you can catch it there, on June 9th, go see Grant’s production of Jill Shearer’s The Boat for yourself. As with any new, unheralded thing, one goes in slightly wary, but there was no need for any misgivings about David Haviland’s Big Rig Casanova; it’s an entertaining, amusing and mysterious plot-driven piece that gives us a unique Australian story, a couple of good outback characters, and an upbeat song to boot! It feels like it wants to be a bigger show, something on the scale of Bob Cat Dancing perhaps?! Just imagine! With projected images of a painted sunburnt country scene – picture an army of anthills and a windmill under various shades of blazing sun and sunsets – and minimal set pieces, we settle into an empty, eerie, outback out-station that hides away an artistic soul and his alter ego (some might say “muse”) from the harsh reality of the exterior, the “real world”. Colin Grevett and Josh Wilson (Lighting & Sound) have contributed a distinct, almost hollow ambience to this production. It’s just right. With an odd assortment of additional characters to lead us, eventually, in the right direction, we see the pieces of the puzzle fall into place and start to understand the man…and a little bit about what it must be like to live alone in an ancient sacred place. I’d love to hear more about the spiritual aspects of the setting; the Indigenous aspect of the tale is so alluring and could easily help to raise the stakes when developed further. It seems a stronger character piece than perhaps first intended (or at least, advertised), but there’s a high-stakes sub-plot begging to be explored. I look forward to seeing more from Haviland, and whether or not anything more is done with his Big Rig Casanova. Tonight is the final performance of the two one-act plays at Lind Lane Theatre but there’s certainly some must-sees coming up, among them, JRB’s superb Songs for a New World, produced by The Tipokis and starring Patrice Tipoki Arkins, Kuki Arkins, Jennifer Vuletic and Mark Doggett, together with Musical Director Laura Tipoki. I cannot begin to tell you how excited I am about this production! 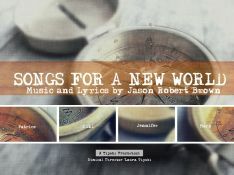 Book early because SONGS FOR A NEW WORLD WILL SELL OUT! A classic thriller by Ira Levin sees our couples twist and turn through this riveting and suspenseful piece of theatre. This macabre tale is set in Boston in the 70’s… or is it the 30’s? It will have you on the edge of your seat waiting for the next spine chilling twist. With just three more performances, you still have time to catch this terrific thriller. You know Lind Lane Theatre hasn’t topped my list of Must-Sees lately but if they continue down this path (IT’S TIME! ), that may be about to change. When Patricia Waterson was unable to continue with the production due to circumstances beyond anybody’s control, “Two Guys” stepped up to share the directing role. What Colin Grevett and Errol Morrison have done with Veronica’s Room is to leave it alone, and allow us to enjoy a horrifying story that gradually unfolds without allowing anything to get in the way of the storytelling. Ira Levin’s brilliance is in the slow burn, and the surprising number of extraordinary reveals along the way; like his other well known works, Rosemary’s Baby (yikes!) and The Stepford Wives (eek! ), there is plenty here to gasp at! Despite an overwritten and thus a rather drawn-out, infuriating conclusion (think, again, of The Rocky Horror Picture Show), Veronica’s Room gives the actors deeply layered characters and unusual, intense relationships. It’s much stronger dramatic work than we’ve become accustomed to seeing at this venue. I still regard Lind Lane as the best little theatre on the Sunshine Coast, and it’s so good to come back to it as an audience member without cringing and ducking away quickly after a show! Just saying! 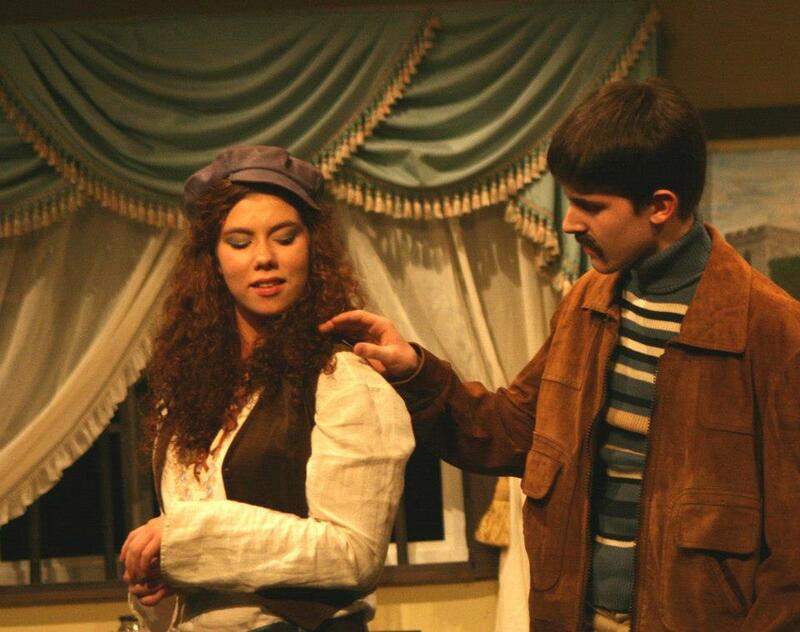 With set design and construction by Grevett and Morrison, and costumes by Anne Grant, the production looks great. And what a surprise it was to see Anne there, after not seeing her since QUT days! I’m looking forward to seeing Anne put on her director’s hat for Jill Shearer’s The Boat in May (it’s the second half of a double bill), and Summer Wonderland in October. 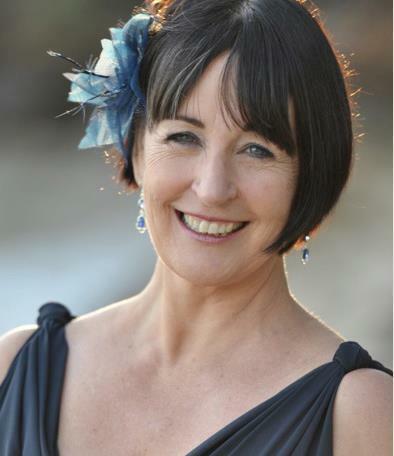 In between, our much loved Nancy Kinmond will direct Stepping Out The Musical for a strictly limited June season. The performances in Veronica’s Room are mostly confident, mostly solid, and it’s Rachel Halverson with whom I’m most impressed. 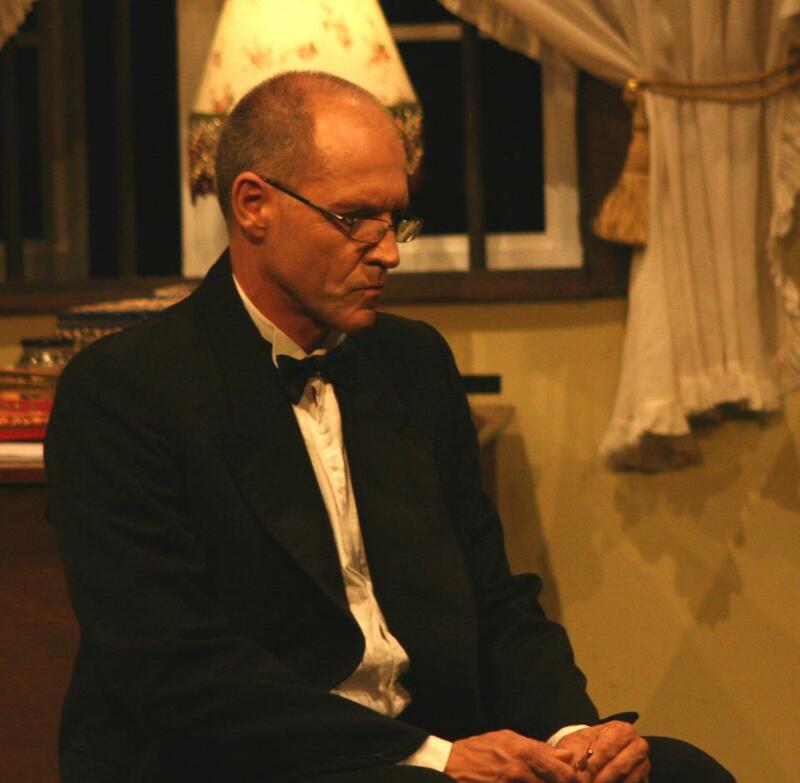 Halverson was last seen in Noosa Arts Theatre’s The Fantastiks and in this we could not see a more contrasting role. Playing Susan-playing-Veronica is a stretch for many, but this is a great, gutsy performance that younger, less experienced actors (and older, more experienced actors too I might add) would benefit from seeing. I’m so pleased Halverson is stretching herself this year with a couple of challenging roles, and a place in QTC’s Youth Theatre Ensemble, where she’s working with some of Brisbane’s best actors, directors and writers, including David Burton, about whom Halverson has raved, telling us that she can see their authentic selves will appear during their work with him, “whether we like it or not!” I can’t wait to see the showcase this year, after being super impressed with the work of the 2012 cohort! Halverson is ably supported by Tully Grimley as the Young Man, Lea-Anne Grevett as the Lady, and Martin Harding as the Man. If you’ve been meaning to get back to Lind Lane Theatre for a while now, Veronica’s Room won’t disappoint. Too bad I didn’t get to see it sooner, but with three shows remaining, including a matinee at 2pm on Saturday, you can still see it! For last minute tickets, call Denise on 07 5441 1814 or book online. She’s an American Beauty Icon. She’s the woman behind the beauty industry. She’s the woman who invented the mascara wand! We don’t make a habit of reviewing previews but with The Fantasticks, Kelly, Brisbane Festival, the six year old almost on holidays and deadlines coming out of my ears, I just had to see this show at some stage and that happened to be Wednesday night’s preview. You see, I wouldn’t have missed this one. And nor should you. but it doesn’t come across that way. That Woman is a gentle feminist nudge and a timely reminder that it’s hard work and unfaltering self-confidence (and a bit of savvy marketing) that makes a winning combination. Perfectly cast in the role of Madame Helena Rubinstein is the petite Michelle Connelly. She effortlessly pulls off the strange Polish-Jewish-Australian accent, the elegant fashions and the dramatic mannerisms and quirks (shall we say charms? ), for which Madame was famous. Skillfully treading in her two toned high heeled T-Bars, Connelly finds the fine line between taking this character too far OTT and underplaying her conflicting emotions beautifully. This woman is a delight to watch. She is well-matched by Sharon Grimley as the articulate Canadian born American, Elizabeth Arden, either known or imagined (I don’t know because I never did do the Elizabeth Arden training) to profess to her “ladies” the qualities desirable in a “lady” without necessarily being one herself. Grimley takes the sarcasm and various verbal vulgarities to the hilt. 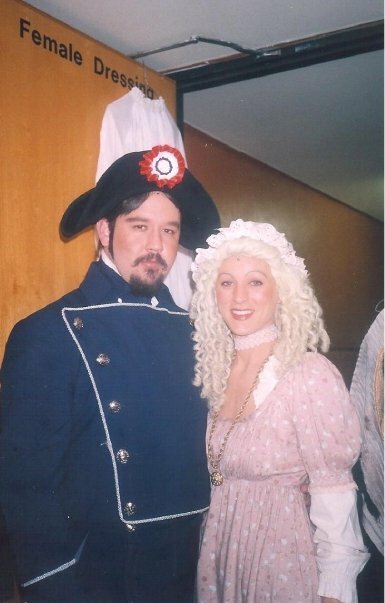 Brett Klease provides a gentle balance to early proceedings as Madame’s first husband, Titus, who seeks his own life outside of their marriage and despite his attempts to return to it on more than one occasion, Rubinstein never quite finds the time or energy to attend to her marriage the way she does her career. Supporting roles are played by Adam Freeman, Sean Bennett, Rachael Fentiman, Howard Tampling, Mandi Hardcastle, Megan Zmendels, Dave Stygal, Julia Dawson and Hayley Freeman. It’s Fentiman’s natural comedy and gosh-darn-it-all pure cuteness that stands out here, when she appears as the naïve lady of the night, Gloria (in Act 1) and later, the much sassier Estee Lauder (in Act 2). She enjoys some lovely funny banter, in the first instance with Klease, and in the second with Tampling. The action takes place against a stark black and white set comprised of a piece of New York City skyline and a multi-purpose interior, which serves as offices and various city spaces. It’s only when the staging changes later, bringing forth a runway and beautifully backlit silhouettes of the makeup moguls behind three screens that we get a glimpse of the image conscious world of Fifth Avenue that was such an influence on business and public perception at the time. There was a hint of it within scenes that touched on the media attention given to both women but I felt the high fashion element served to raise the stakes and needed to be prevalent in the interior design (to match the finesse of the costumes) much earlier. Denver’s is an astute study and I’d love to see more of Madame. Whether it’s intentional or not, Denver gives us a very balanced view of both women and could certainly afford her leading lady more time in the spotlight. Varying approaches and a fourth wall that takes the opportunity to leap up and down in a bid for the next boy girl wall tour means that we have a combination of conventional dialogue, abstract thought and direct delivery to the audience. Within a witty, well-informed text, a couple of the monologues don’t ring quite true…yet (perhaps there are just too many of them) and an extended spiel given to Madame’s right hand man, Patrick, appears to come out of left field. It would perhaps work better in Titus’s hands. A couple of leaps of faith as far as audience following the story goes, are taken boldly and with the help of an enjoyable soundtrack, we usually know whereabouts in time and space we are. What I love about this work is that we see Rubinstein brought to life without the inclusion of conventional scenes requiring additional characters offering extraneous detail. This approach can be applied more fully yet and with a little bit of whittling, bring the piece up to a sharper, snappier pace. It’s excellent fodder for actors, beautifully written. I should mention (or perhaps I should not! ), that when a friend mentioned after the show the need for a couple of rewrites to the playwright, Denver laughed and said warily over her champagne, “Rewrites? Don’t talk to me about rewrites!” But I’d like to see this play again, after said rewrites and see if it doesn’t tell a tighter, more intriguing story. Rubinstein is so deliciously, stylishly drawn that we need to hear only a little from everybody else. Much like Denver’s Into the Mist, which featured Joy Marshall as the comedy actress Margaret Rutherford, That Woman is a showcase for the actress who plays Madame. And it is Madame’s story that interests me most. Not only for the ladies, That Woman boasts fabulous fully drawn characters and a fascinating story of what it takes to make a single life a success. That Woman breathes new, fashionable life into the Sunshine Coast theatre scene. If you haven’t been to see anything for a while it’s time to dress up and head to Lind Lane Theatre to catch the world premiere run of Jo Denver’s enlightening and highly entertaining That Woman. P.S. Let’s hope we see the musical version up on its feet soon too! A new play written and directed by local playwright Jo Denver. Set between the 1920’s and the 1960’s. It looks at the ruthlessness behind the glamour of the beauty industry. It centres on the life, and rise, both personal and professional of Helena Rubinstein and chronicles her career and that of her rivals, most interestingly “that Woman”, cosmetic giant Elizabeth Arden. Cost: Adults $ 22. Conc. apply. Group discounts available. By Harvey Schmidt and Tom Jones. The poetic book and breezy, inventive score, including Try to Remember, helped make this show so durable. It is played with a small cast, a two-person orchestra, and minimalist set design. Sam Coward plays El Gallo in this old favourite. Would you trust this man bearing gifts??? I have myself a long road to travel before I hit the big Five-O. That and my closest brush with the Red Hat Society came around the time that Simpsons episode aired about Marge joining the RHS and stealing Mr. Burns’ secret valuables. So they seemed pretty adventurous and daring back then and even though I’m nowhere near the halfway mark to a letter from the Queen I still found moments where I couldn’t stop laughing during the musical, Hats! Hats! sings and dances its way through the lives of six fifty-something women educating their newest recruit, Marianne, all about the adventures of the Red Hat Ladies. There are some tender moments as well as some upbeat numbers that are sure to break a smile out on your face. Marianne being reluctant at first to address herself as anything older than 49.9999 slowly learns to live life the way she wants to regardless of what her age is. There are certain scenes where I found the sappiness a little hard to bear. Whether the fault lies in the original script or if the cast just didn’t bring in the suitable tenderness needed, it was a struggle to push through the quieter moments. Just a general swirl of words like “heartbreak” and “confusion”, “lost love” and blah blah blah. Dampen the mood even more with some soft lighting and gentle piano music and hey presto, your typical sob story unfolds. Perhaps I’m being unrelenting, or even unsympathetic to these characters but the genuine sadness I look for in a performance did not reach me in the back row this time. Despite this weakness seen at the Lind Lane Theatre the performance makes up for it with more upbeat tactics. Two particular actresses kept me wonderfully entertained from start to finish. Jen Somerville and Julie Pickard who play Duchess and Contessa Confessa respectively. They kicked off in an interwoven duologue then kept their presence on stage until the very end. With their musical numbers and their choreography. My favourite especially was Somerville as Duchess reminding us 50 doesn’t mean it has to end in the bedroom. Encouraging words for women or not, the hilarious red lit number made me forget the sappier, lacking moments of before. Lind Lane has once again presented us with a curious little production. I’ve known the organisation for a long time now and the fun ambience is still there. Hats! Though a little feeble in its serious moments, brings some great laughs to the audience. While it’s certainly not a show for the kids, anyone who understands we all get older eventually will love this production of Hats! Got a 10 minute play? Sure you do! So, Where Is it? won Brett Klease Best Actor at last year’s Sunshine Coast Theatre Festival and the 10 minute version took out 1st place in the Gold Coast & Brisbane Short+Sweet competitions. It then went to Sydney (thanks to some of YOU! THANK YOU! ), where it won third place. 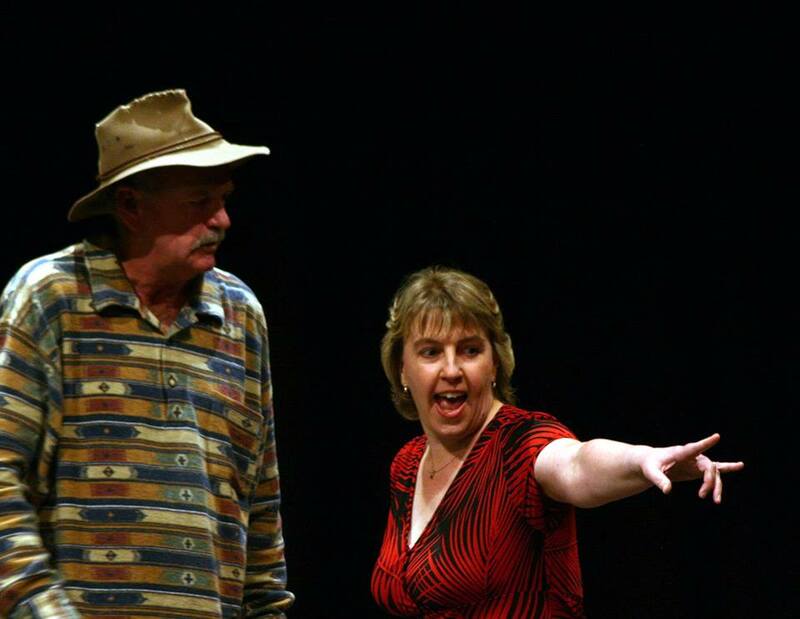 With so many one-act play festivals happening across the Sunshine Coast, why not do the same? Or register your 10 minute play from the recent season in Buderim. IT’S JUST 10 MINUTES! YOU CAN DO IT! You CAN do it. But do you need some help taking the red pen to your script? Register first! Just do it and then let us know! We can help edit and workshop your one-act play down to just 10 minutes or help you find a new script to work on. Check out the vast collection that the 10 Minute Play Master, Alex Broun, has made available online for FREE. ACTORS, DIRECTORS AND INDEPENDENT COMPANIES REGISTER NOW! 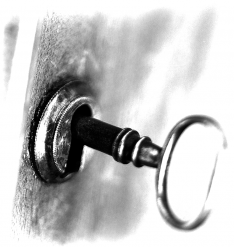 Remember, it all starts with an idea….. This one was just so crazy…it worked! Have you ever been involved in community theatre? We used to call it “amateur” theatre but that term has become more closely associated with poor quality performances and megalomania than with its original meaning, which is “to love” (from the Latin verb, amo). The term, “community theatre”, seems to have a friendlier tone to it. But that tone can be deceptive! 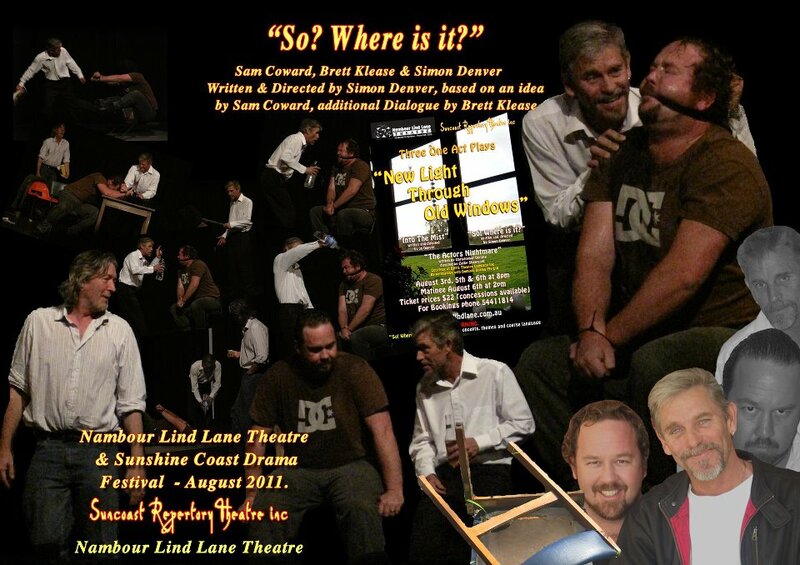 Simon Denver’s That Scottish Play features a talented and, one suspects, largely undiagnosed cast of Sunshine Coast actors sending up Sunshine Coast actors. 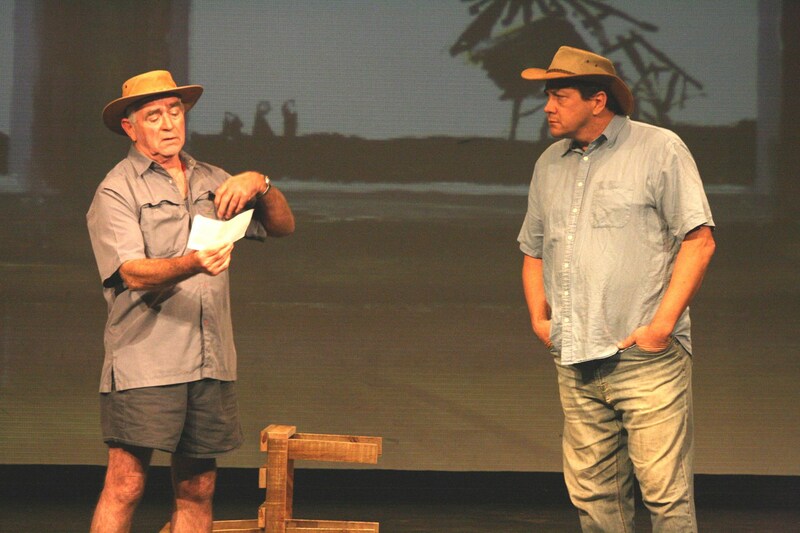 It reveals the machinations of a community theatre group in the imagined Sunshine Coast town of Widgee. It could be Nambour. It could be anywhere. We recognise the characters and their quirks, we laugh out loud at their ridiculous antics and we loathe the egos that can’t help but surface under the little theatre’s spotlight. Names are named and every local theatre company is fair game! No one and nothing is safe from Denver’s pen! 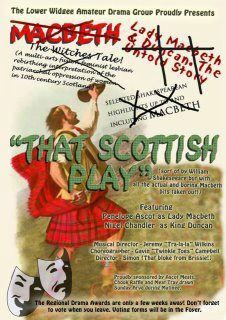 That Scottish Play has been taken out of the vault and prepared for a strictly limited season at Lind Lane Theatre in just a few weeks. It’s like (Louis Nowra’s) Cosi on ice, though not the family-friendly Disney version you’re thinking of. More like the unfriendly, politically incorrect, if-only-there-were-ice-in-Africa, chaotic kind of Cosi on Ice. It’s an extremely talented ensemble – Denver says they are “from the deeper end of the talent pool” – and one of them, Sam Coward, who plays the guy who plays Macbeth, Nathan Gayelord, says, “I never read the script. It was a guideline.” This is typical from someone who has worked with Denver before. Many of the members of this extended company (let’s call it +SRT) have had that privilege and a few have not. Let’s hope they are brave enough to take up the mantle again because this cast is a joy to watch. They are each experienced enough and confident enough to just play. This play requires the notion of play to be unleashed – as Director, this is Denver’s specialty – and we can see that they’re having fun! It’s certainly the best parody we’ve seen and the local references are obvious enough to have audience members blushing in their seats, loving every minute of it! The “problem” with such a localised and personalised parody is that those who are slightly outside of the teensy weensy world of local theatre don’t get it. This may need to be a consideration in future, in order to attract the desired ticket sales. I watched with interest on opening night, a party of elderly, typically Lind Lane Theatre patrons and they were in turns, bemused, horrified, terrified, nonplussed and not amused. I was in fact waiting for one of them to say at the end, “We are not amused.” Perhaps they thought they were coming to see Shakespeare’s Macbeth?! 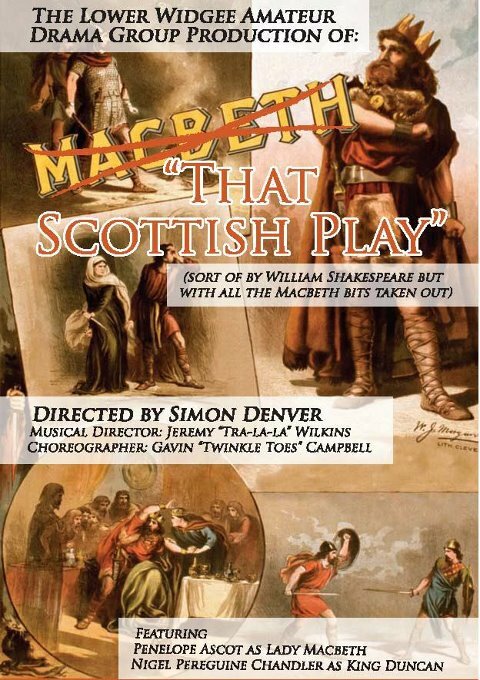 Well, of course if you read the publicity or Google Mr Denver’s works, you’ll realise that this is not Macbeth but a basic tale of typical amateur over-the-top theatrics. The Lower Widgee Amateur Drama Group prepare to stage a production of Macbeth…with all the actual and boring Macbeth bits taken out of it! Early in the rehearsal process, the show becomes a musical (because what’s the biggest bums-on-seats show an amateur theatre company can pull off in a year? A musical! ), allowing us to enjoy ridiculous musical theatre performances (think Forbidden Broadway) from the likes of Chris Surplice (who has come up from Sydney to play) and Sam Coward, who hasn’t been heard to sing, except in the car and in the theatre when bored or making a point as Director, since he played Javert in an impressive little production of Les Miserables in Mt Isa (not so impressive were the brows back then, mine, not Sam’s; his are fine. Thank goodness I’ve been threaded since then!). Well-known, well-loved performers from right across the coast join these pillars of performance power and strength on stage. Joy Marshall as Penelope Ascot is a standout. She limps and she lisps and whenever The Trophy or The Awards are mentioned, she twitches. Hers is a hilarious performance and it is well balanced by Brett Klease’s, as the professional director, Simon, from Brisbane, who comes in on the wings of a successful grant application and won’t be directing anything much in the end (and won’t be allowed to leave)! Surplice, as Nigel Chandler, has a few nice little moments, particularly in the plotting, scheming scenes, when we get a glimpse at how far the bitchiness backstage can go. Howie Tampling gives us some good belly laughs, as the guy with Tourette’s and Errol Morrison is the perfect small country town mayor and the hapless husband of the overly-ambitious Penelope. This production is a first for the Sunshine Coast. It parodies the best-known members of each theatre company in a ruthless and rather daring manner and yet leaves only a few offended (the collateral damage). It seems the writing is witty enough and the pace fast enough for this motley company to get away with all manner of sins! The combined talents on stage and off indicate that there is a distinct lack of entertainment like this – for actors and audience to get their teeth into – and the results indicate that there should be more of it. If Denver can pen a play like this in a couple of hours (and re-write it during rehearsals) and another, his latest, in less than an hour (So, Where Is It? was originally a one act play and was whittled down to just 10 minutes, winning the Gold Coast and Brisbane Short + Sweet Awards and taking out 3rd place in the national competition in Sydney this year), then he should be producing something new at least twice a year! There is talent to perform the work and audiences craving to see it. Let’s have more like this, please. We all found the play, or was it really a musical in disguise, we still aren’t too sure, totally entertaining and extremely funny and terribly well crafted and acted. Congratulations to all for a great night’s entertainment and may we expect more of the same in the future? we do hope so. Simon Denver’s writings are truly of an international standard and he certainly knows just how to bring out the ‘best’ in his players. We wish the cast and writer/director all the very best and again, thank you so much for such a most memorable evening of true comic theatre.